Save your pennies for the V-6. It's better in every way than the inline-4 and doesn't incur any significant fuel economy penalties either. The 2017 Dodge Journey is a minivan in every way except its doors. Families will be tempted by the price, but there are better, safer picks out there. The 2017 Dodge Journey makes a bid for two automotive records this year: one of the lowest-priced family crossovers with seven seats; and, one of the oldest new cars on the road today. Taking a page from the Jeep Wrangler playbook (and perhaps not intentionally), the Dodge Journey has become uniquely utilitarian and an automotive throwback of sorts. Its slab-sided exterior is a chiseled look for a segment that's evolved into more organic and rounded shapes, and we can't help but guess that's a byproduct of inattention. Inside is the same story, but with a better outcome. The Journey missed Dodge's warm and organic shapes period, which can be found in the Durango, so its surfaces are functional, high-quality, and easily cleanable. Under the hood the Journey carries forward with the same engine options as last year. A base inline-4 is standard on front-drive models, paired with an aged 4-speed automatic that the original Dodge brothers may have co-engineered. (We're guessing, anyway.) Its 173 horsepower is barely enough to motivate the 5,000-pound crossover forward, and predictably the 4-speed isn't the most fuel efficient. Stepping up to higher trims or all-wheel drive nets a corporate 3.6-liter V-6, dubbed "Pentastar," under the Journey's hood that makes a more adequate 283-hp and 260 pound-feet of torque. It's mercifully paired to a 6-speed automatic, which means fuel economy isn't all that thirstier than the inline-4. Paying more really gets more in this case. 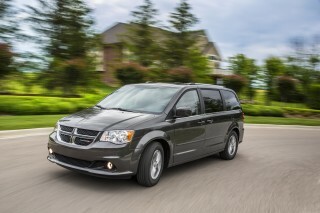 The Journey makes its case in interior storage and convenience, which isn't surprising based on Dodge's institutional knowledge from their minivans. Cubbies and bins abound, and the Journey's copious amount of cargo space is highlighted by an accessible, flat-loading floor. Behind the second row is 37 cubic feet of cargo storage, the third row (if equipped) still has 10.7 cubic feet—or enough room for a few grocery sacks. Lay all the rear rows flat and 67 cubic feet of room opens up, which is enough for any ambitious home improvement store run. Durable cloth adorns base models, while leather hides with mesh inserts are available on upper trims. High-quality hard plastics are everywhere and, when paired with cloth upholstery, should make the Journey one of the most kid-proof cars on the road. Predictably a car with an aging structure won't do well on modern tests, but Dodge's inexplicable negligence has netted one of the lowest safety scores on our ratings scale. The Journey gets a "Poor" rating on the IIHS small-overlap crash test and a four-star rating from the feds in their testing. Those scores combined with poor outward vision and no standard rearview camera mean that the Journey becomes a head-scratcher for families shopping who prioritize value and safety. Both Ford and Hyundai have improved safety ratings in the middle of model years for their family-focused crossovers, we're just not sure why Dodge hasn't done the same? The top-of-the-line R/T models are gone for 2017, but have been replaced with Journey GT badges instead. 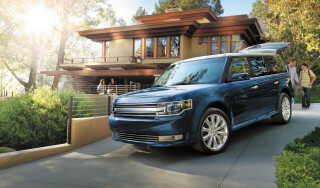 Base Journeys are relatively spartan, and Dodge seems willing to charge for features others throw in as standard, including Bluetooth connectivity and infotainment screens that are 5.0 inches or larger. The Journey is inoffensive, but also unremarkable. The 2017 Dodge Journey has become unintentionally utilitarian, a slab-sided wagon without much style that doesn't move the needle forward as much as it completely avoids the dial altogether. The Journey definitely has its own look as a crossover, one that blends minivan practicality in a mass-market shape. Its approach is more angular and creased than many crossovers today, but that has us wondering if the Journey is unique, or if its just conservative and aged? We'd say the latter, and that its a relic of another era that's been carried over mostly unchanged. Inside the Journey is smooth and swoopy, but has missed out on the warm and organic look adorning other Dodge crossovers such as the Durango. There's enough to love in the simple layout, which has large dials and knobs framed by high-quality materials. Although the interior materials are dark, there's enough well-placed brightwork to break it up and also give it a slightly more upscale feel. Open the Journey's door, and a bolt of metallic trim directs you quickly across a more softly sculpted dash. The contoured center stack gets mixed in with round cut-tube gauges and a blocky steering wheel, and it all goes together quite well, with a large infotainment screen at center plus no-fuss climate controls that ride sidesaddle on that middle strip of bright trim. Again, it's definitely not up to the times with other Dodge interiors, but it's attractive on its own merits. It's simple in the 2017 Dodge Journey: spend more and get more. The 2017 Dodge Journey carries over both its powerplants and transmissions from prior years, available in front- or all-wheel-drive configurations. A rough running inline-4 is standard on all models except the top GT trim. Its 173 horsepower and 166 pound-feet of torque doesn't feel particularly responsive, especially when saddled with an ancient 4-speed automatic in front-drive models. Asking the 2.4-liter 4-cylinder to motivate 2.5 tons of mass is just too much. Opting for the 3.6-liter V-6 is the way we'd go, and it's the only way to get an AWD version of the Journey. 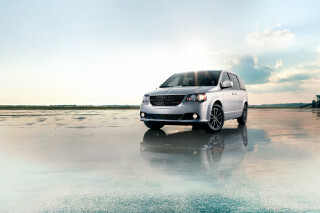 The V-6, dubbed "Pentastar," makes 283 hp and 260 lb-ft and is exclusively paired to a 6-speed automatic. It's a better transmission than the 4-speed, but not perfect. We've experienced some shuddering and jumpiness at low speeds in prior model years. The Journey's handling is fairly well sorted for a crossover its size. 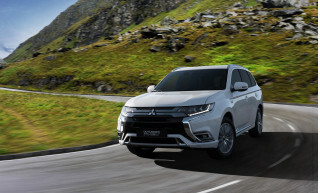 Its suspension loads and unloads confidently, like that of a lower and leaner vehicle, and there's none of the excessive bounding and wallowing when you hit a bump mid-corner. 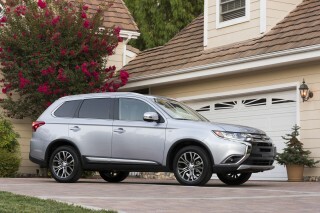 The ride quality remains a strong point, with the proper damping and roll control for a family vehicle. While the hydraulic-assist steering system gets it right with weighting, the rather quick steering ratio feels a little out of place in a vehicle this size, and with this purpose. Are you allergic to minivans? Are you sure? The Journey is the closest, affordable substitute. The 2017 Dodge Journey is a practical people mover that greatly benefits from Dodge's institutional knowledge of making minivans wildly useful. 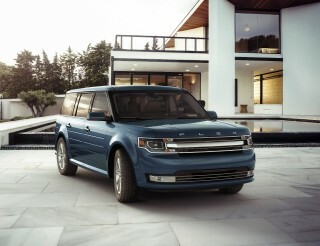 If you can't have a minivan for your big family (and really, there's no logical reason against them) then the Journey is an acceptable, affordable substitute. The Journey's layout is undoubtedly aimed toward families with cubbies and storage abound. The cargo area behind the second-row seats (when the third row is folded, or isn't equipped) is 37 cubic feet, which is more than respectable. Flip up the third row (if equipped) and there's just 10.7 cubic feet, or drop all the rear seats for 67.6 cubic feet. There are storage bins underneath the passenger seat and in the cargo area for small bags, backpacks, or emergency Cheerios. The Journey's cloth feels robust enough to handle ground-in Cheerios, and although dated, the Journey's hard surfaces wipe clean easily. The good: Flat loading floors like a minivan. The bad: Finicky second-row cushions fold forward independently. The ugly: Asking an adult to climb in the third row without breaking public decency laws. The back seats are built for two adults and can slide fore and aft a few inches to maximize space and leg room. The Journey's contoured buckets are a good fit and we're fans of the back seat, as long as you're not asking us to ride hump. An optional rear seat entertainment system with a 9.0-inch screen and headphones is available for nearly $1,000, but at that price we'd consider two iPads and matching iTunes gift cards. The Journey's relative age is painfully apparent in its safety scores. Evolving safety standards have left the Dodge Journey far behind the competition in available safety features. That's not controversial nor is it very surprising for a crossover with a relatively old structure. 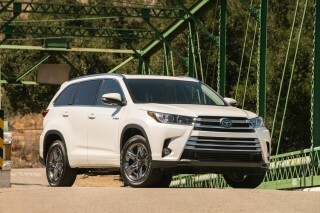 In federal testing, the Journey was rated with a four-star overall score (out of five), with four stars in front and rollover crash protection. Its side impact score is the lone bright spot; federal testers gave five stars. In independent testing by the IIHS last year, the Journey achieved all "Good" scores except in the small overlap crash test, where it was rated as "Poor." Few cars are rated as low, and the IIHS even pointed out that the driver's area was "seriously compromised" in testing. Considering its family-first mission, the Journey still makes its rearview camera optional on higher trims only, even though outward vision is particularly challenging. Dodge still hasn't offered any advanced safety features such as forward-collision warnings or automatic emergency braking to bring the Journey into the current decade for family vehicles. The Journey's appeal is in its starting price, not its available features. For 2017, Dodge hasn't changed much about its Journey, except the name of its top model. The Journey GT now replaces the R/T trim as the king of all Journeys (queen, if you prefer), but base SE models are still very plebeian. Base Journey models are equipped with 17-inch wheels, dual-zone air conditioning, steering wheel-mounted audio controls, Stow 'n Go in-floor storage bins, power windows, a 4.3-inch touchscreen radio with six speakers. Bluetooth phone connectivity isn't standard without springing for an extra package; Bluetooth streaming isn't available on anything but the top 8.4-inch touchscreen system with navigation. Many competitors now offer those features as standard. A third row for small children is available on every trim level, from SE to GT models. Most shoppers may find themselves shopping in the middle trim levels: SXT, Crossroad, and Crossroad Plus, to find the best values. SXT models add fog lamps, LED taillights, power folding side mirrors, and other minor appearance upgrades. A Blacktop appearance package is available on SXT models, which adds 19-inch wheels, and black appearance add-ons to roof rails and headlights. 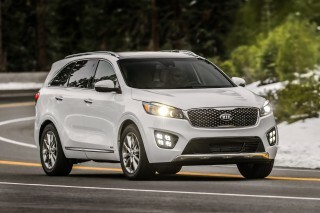 Crossroad models add 19-inch wheels as standard, platinum exterior accents, and leather seats with mesh trims. Crossroad Plus models are notable only for their available rearview camera and standard 8.4-inch touchscreen, which is optional on lower priced models. Fuel economy isn't the Journey's first priority, but it's acceptable. The 2017 Dodge Journey doesn't have any modern fuel-saving technology—or an up-to-date base automatic transmission—but its numbers are respectable. 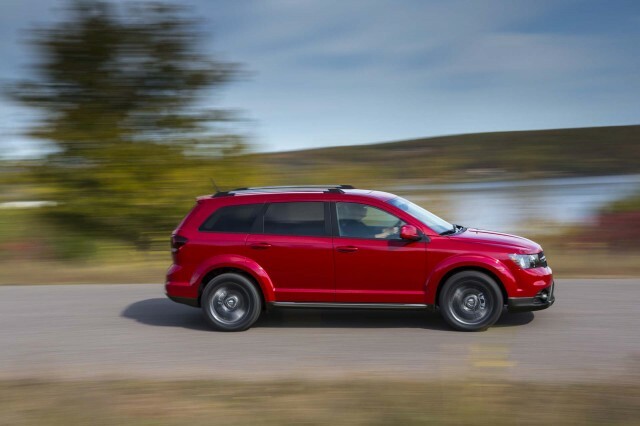 In base front-drive configuration, the Dodge Journey's inline-4 and 4-speed automatic combination is rated at 19 mpg city, 25 highway, 21 combined. With all-wheel drive and a 6-speed automatic that rating slips to 17/25/19 mpg. In real-world driving, we've found the inline-4's fuel economy rating tough to duplicate. We've found better success with the optional V-6, which isn't significantly thirstier. It's been rated at 16/24/19 mpg, and we've found that to be fairly in line with our experience. If you consider the Journey to be a seven-seat crossover and team bus, the Dodge is fairly fuel-efficient. Otherwise, there are more fuel-efficient options out there with more power, such as the Hyundai Santa Fe. 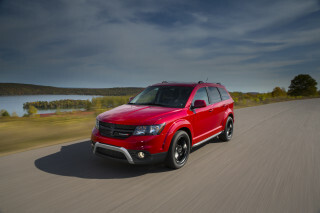 Looking for a different year of the Dodge Journey?